It's finally spring in New York. That two weeks in early April when all of the sudden it was 75 degrees and the cherry trees blossomed early and everyone wore shorts, no, that wasn't spring. That was more about the great floods that will surely come my friends, as the weather all over the world gets weirder and weirder. 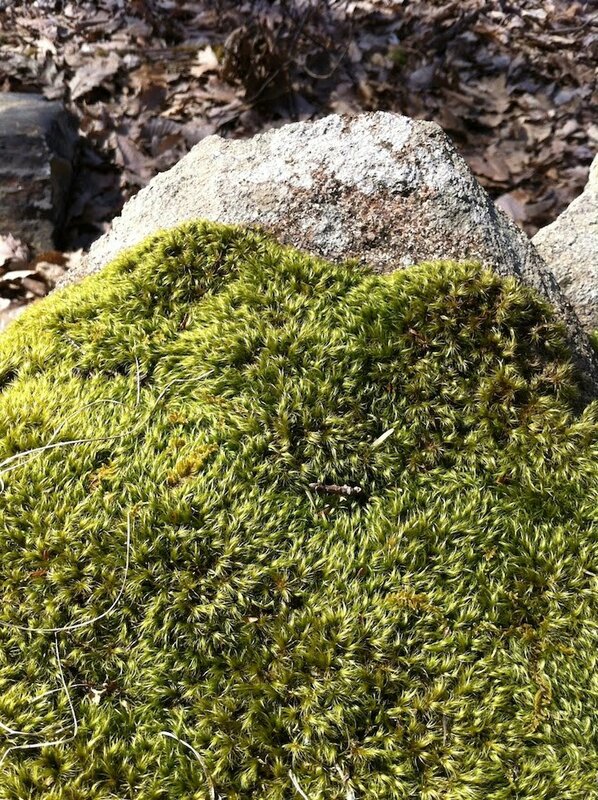 Anyway, now, it's spring. Temperatures are in the high 50's to early 60's and it always feels like it's about to rain, which hopefully it will. It's supposed to rain in April, for goodness sake. Nothing innovative here, this is classic spring pleasure. Broke the stems off a handful of asparagus, and peeled the bottoms a little because I was feeling fancy. 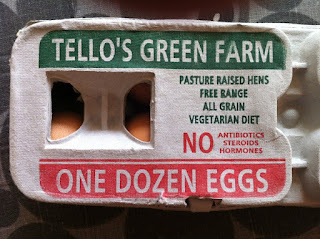 Dropped them in boiling water for about 2 minutes, maybe less. Meanwhile, water simmered in a pot to poach the egg. Whisked a little good olive oil into some Fernando de Castilla Sherry vinegar, you know, to drizzle over the top of the egg after placing atop a mound of blanched asparagus. Good butter warming on the counter since the morning, so it's nice and soft when spreading time comes. A touch of vinegar in the simmering water right before dropping in the egg, swirl the water a bit to create a vortex in an attempt to keep the poaching egg whites in a manageable oval shape, as opposed to spreading out uncontrollably in the pot. Poach for maybe 2 minutes, just long enough for the whites to set. Salt, pepper, drizzle on a spoonful of Sherry vinaigrette. So delicious, it's a little ridiculous. 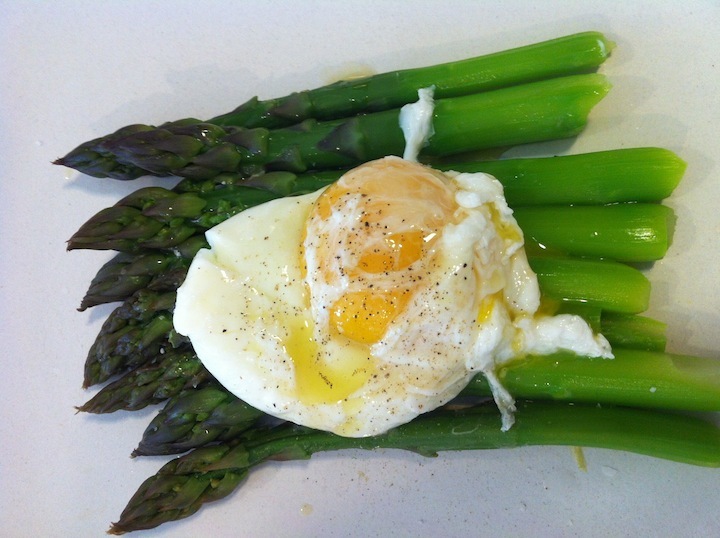 I like to poke the yolk and let it run out, to try to get a little bit with each asparagus bite. But don't worry - a baguette is the perfect tool for swabbing any Sherry vinaigrette-infused egg yolk that you might miss. 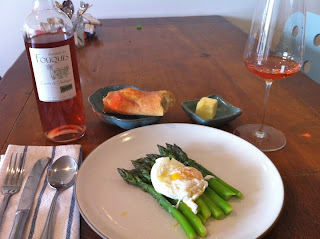 What to drink with this spring feast? 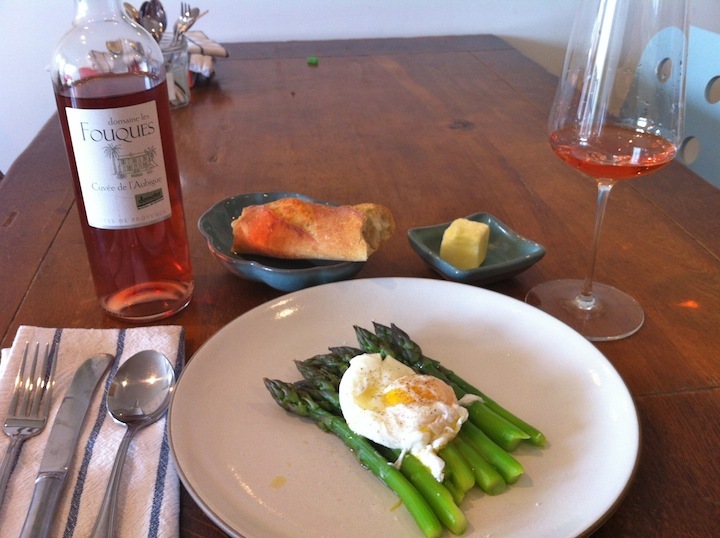 Popular wisdom is to complain about how hard it is to pair wine with asparagus. I think that's malarkey. I can think of several wines right this second that I would have enjoyed very much with this dish - Fino Sherry, any sort of sparkling wine, Chablis, any Jura wine, white or red, and so on. 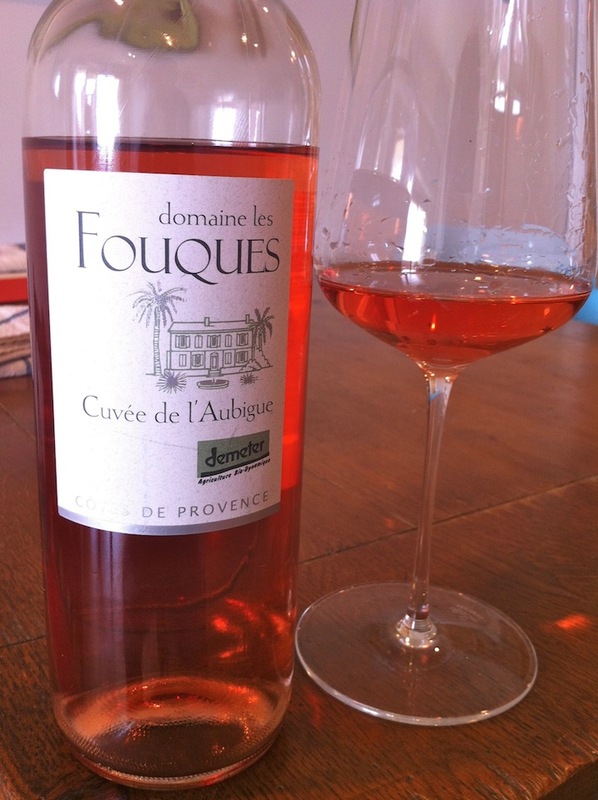 Today, with my first real spring lunch, I drank a rosé from Provence, the 2011 Domaine Les Fouques Côtes de Provence Rosé Cuvée de L'Aubigue, $14, Imported by Fruit of the Vines. I bought this wine while speaking on the phone with David Lillie, one of the owners of Chambers Street Wines. I called about an order I placed, including a few bottles of a popular Provence rosé that I buy every year. David said "You know, that wine is yeasted, it smells and tastes like what they want you to think rosé smells and tastes like. If you like the pale rosés you might enjoy this other wine by Les Fouques. It's quite good." For David, "quite good" is astoundingly high praise. "Okay, I'll try it. How much is it?" I asked. "Fourteen dollars," David said. The wine I was going to buy costs over 20% more than that. Just another thing to love about Chambers Street Wines - they'll steer you to the wine they think you should try, even if it's less expensive. Can I tell you, the wine is great. It's mostly Cinsault and Grenache, with little bits of things like Syrah and Rolle (aka Vermentino). It has very pretty berry aromas, a metallic kind of mineral tone, and with some time open it has a very lovely earthy smell too - something that I think is part of what is wiped out of too many inexpensive rosés in an attempt to enhance their fruity character. The wine tastes great, it's balanced and pretty and very refreshing. It's got a lot of structure too, for an inexpensive little Provence rosé. David Lillie (who I think direct imports this wine) - you rock. If you can think of a better early spring lunch, I'm listening. Not too long ago I had the pleasure of eating dinner at Fu Leen, the seafood restaurant in Manhattan's Chinatown. 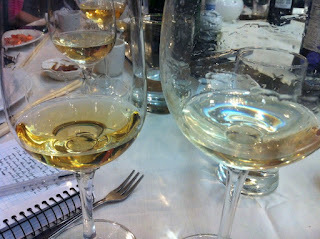 Peter Liem organized a group of people to drink several special Sherries and to eat things like lightly steamed fresh shrimp, fried dungeness crab, steamed whole fish, and fried rice with salted fish. The wine main course, if you will, was the Palmas of González Byass - all four of them. Peter graced this blog with a guest post discussing these wines a few months back - a beautiful piece of wine writing and you should take a look if you haven't already. The Palmas represent an exploration of Fino Sherry as it ages. They are selected by Antonio Flores, the González Byass cellar master, as barrels of special quality and bottled at different points in their evolution toward Amontillado. 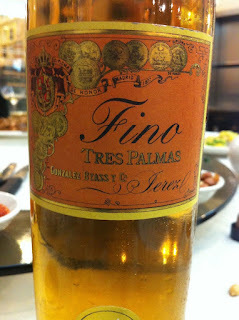 Una Palma is an average of 6 years old, Dos Palmas 8 years old, Tres Palmas 10 years old when the flor is patchy and the wine begins to have some contact with oxygen. Cuatro Palmas is much older - an average of 45 years I believe. 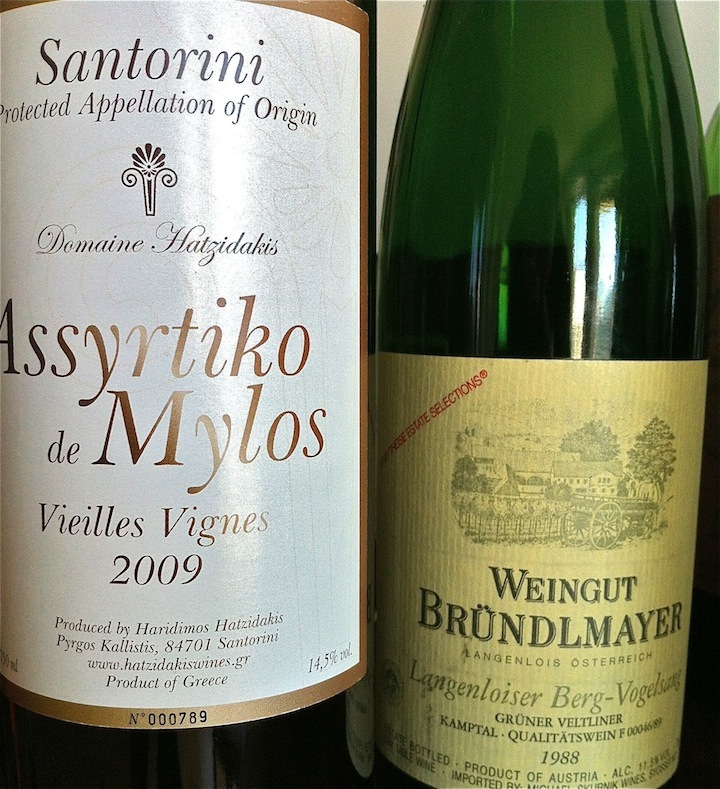 Honestly - read Peter's post on these wines, as he explains exactly what it is they are about in crystal clear terms. The idea behind wines like the Palmas is not new. It is common for the cellar master to select what he (and it is almost always a he) feels are his finest barrels, and to allow them live outside of their commercial bottlings. It is a newer thing for these special wines to be bottled and sold. That wines like this are now available, even if they are rare, is part of what makes this such an exciting time to be a Sherry lover. We drank several appetizers before our Palmas main course, and each of the wines related in some way to this theme of special wines, things that are new and interesting in the world of Sherry. The first was a sparkling wine, a collaboration between Sergi Colet in Penedés and the Equipo Navazos team. The 2006 Colet-Navazos Reserva Extra Brut is a sparkling Chardonnay and at disgorgement the wine is topped up with Manzanilla - specifically La Bota Nº 22, if I am not mistaken. 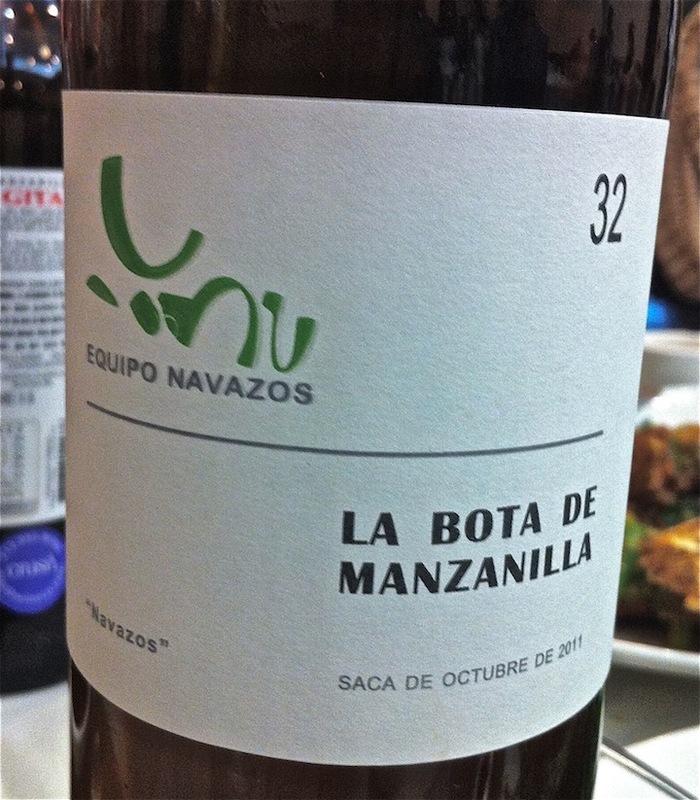 This wine is mellow with a few years in bottle, bone dry and very mineral, and the Manzanilla is an unmistakable presence. You can sense it the way Vader sensed Obi Wan was sneaking around somewhere on the Death Star. Most of the Sherry that we can buy here in the States has been heavily filtered, and although some of these wines are delicious, they are very different from what they were before the filtration, stripped of important aroma and flavor components. As more and more wine lovers become interested in Sherry, some Bodegas are offering unfiltered versions of their wines. Bodegas Hidalgo recently bottled an unfiltered version of La Gitana, called La Gitana en Rama, or from the barrel. We drank La Bota de Manzanilla Nº 32, a continuation of the Nº 4, 8, 16, and 22 bottlings from the Sánchez Ayala solera. I love all of these wines (never had Nº 4), but Nº 32 seems very special to me, a particularly great selection from this solera. I loved it from the moment it was opened and it got better and better in the glass. And with fried dungeness crab in this dried shrimpy, scalliony paste...oh my stars. Then came the Palmas. 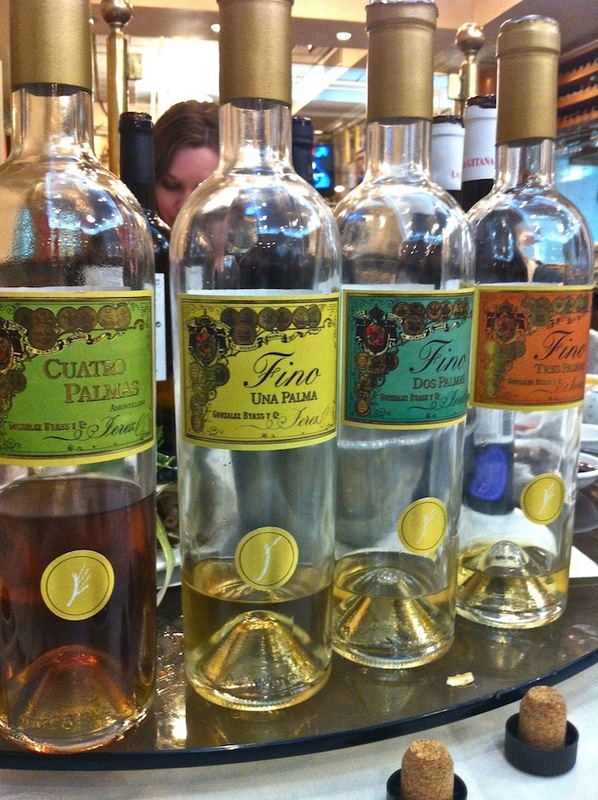 This is an experience that will be essentially impossible to replicate, as these wines were bottled in small quantities - only 150 bottles of the Cuatro Palmas for example. They were sold only in Spain and in the UK, and Peter had to agree to tattoo onto his back the name of the merchant who held the bottles for him. Drinking them one after the other was, as advertised, a great lesson in the progression of biologically aged Fino Sherry. 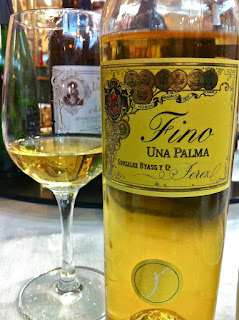 Una Palma was bold and powerful (and we were struck by this demonstration of the vast gulf in character between delicate Manzanilla and bold Fino). Drinking this wine and then also drinking Dos and Tres Palmas, I felt the flor tones change from fresh and buttery to dark and savory, the aromas take on a nuttier note. These wines emphasize for me that the movement of Fino (and Manzanilla) toward Amontillado is not marked with a particular boundary, that there is no clear moment at which Fino becomes Amontillado. Peter has described it as a continuum, and drinking these four Palmas together underlines this notion. These three are essentially the same wine, but at different points along the continuum, captured as the layer of flor becomes thinner and then patchy. Each of the three is compelling and delicious, but if I had to take one and only one with me while waiting on line for 6 hours at the DMV, it would be Tres Palmas. Cuatro Palmas is an Amontillado that comes from one barrel selected from the tiny 6-barrel Solera called Museo. The idea was to show a point much further along the continuum, and this particular barrel was selected for its great finesse. The wine is glorious - deeply complex, with an incredible fineness of texture, and with a never-ending finish whose echo includes trace reminders of the fresh buttery flor character of 40 years ago. I love blind tasting. It's fun to drink wine without having any idea what it is, whether or not it's expensive, cult-ish and rare, common, glorified, or unknown. Without knowing whether or not I am intrigued by the producer, whether or not I've had it before, or any of the many other things that influence my expectations about a wine before I actually smell and taste it. I particularly love doing this over a meal with a relaxed group of people who will participate in the conversation and laugh with one another as we swing from kind-of-accurate to wildly wrong in our attempts to identify wine. I did this last year at about this time, and now again. Eight of us at dinner, everyone brings one wine. I told everyone beforehand what we'd be eating, and randomly assigned two people to each of the courses. It would be fascinating also to see what sort of pairings these wine people would come up with. We drank some truly interesting things - Zind Humbrecht Pinot Noir with roast chicken, 150 year old vines Hatzidakis Santorini Assyrtiko and 1988 Brundlmayer Gruner Veltliner Langenloiser Berg-Vogelsang (!) with carrot soup (and in the night's only tragic wine event, the Vatan Sancerre meant for that soup was corked), a seriously disappointing bottle of 1987 Joly Coulée de Serrant and a Japanese Madeira-style wine by Chuo Budo-shu (or the Grace Winery) made of Koshu and Muscat Bailey-A, both grapes indigenous to Japan. I learned something with every wine and very thoroughly enjoyed myself. The first course was a Japanese-style savory egg custard with shrimp, shitake mushrooms, and scallions. We drank two fantastic wines with this course and I thought that both paired beautifully with the custard. 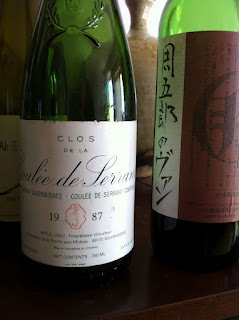 The discussion around these wines was illuminating and funny, and I will share as best I can remember. I sett two glasses in front of everyone, a Zalto Universal glass and a Schott Zwiesel Burgundy bowl. The first wine we drank granted me the opportunity to show just how good of a blind taster I am. My friend elected to pour it in the Burgundy bowls, as the other wine for this course was a sparkling wine, and he thought that the sparkling wine should be served in the Zaltos. We spent some quiet time with the wine, swirling, sniffing. It felt in the mouth like Chardonnay to me, and I got something like iodine on the nose. I began to think Chablis. And then I began to notice oyster shell and other marine scents. "I think this is Chablis," I announced. The fact that all 7 of the other tasters agreed that it was an Austrian wine made me feel just slightly less confident. I keep hearing about how there are so many people in the wine world who cannot relax in this sort of situation, who are too competitive or aggressive with their opinions, people who will make you feel small for not knowing things, or for being wrong. I am so happy that I don't know or hang out with these people. Folks - I cannot recommend strongly enough that you spend your thoughtful wine drinking time with nice people, people who want to enjoy with you and learn together, not to compete and act like jerks. Sorry if this sounds obvious, but I don't think it's obvious. I know people who will go where there are good bottles, even if their owners are brutish wine-thugs who are not very pleasant to learn with. 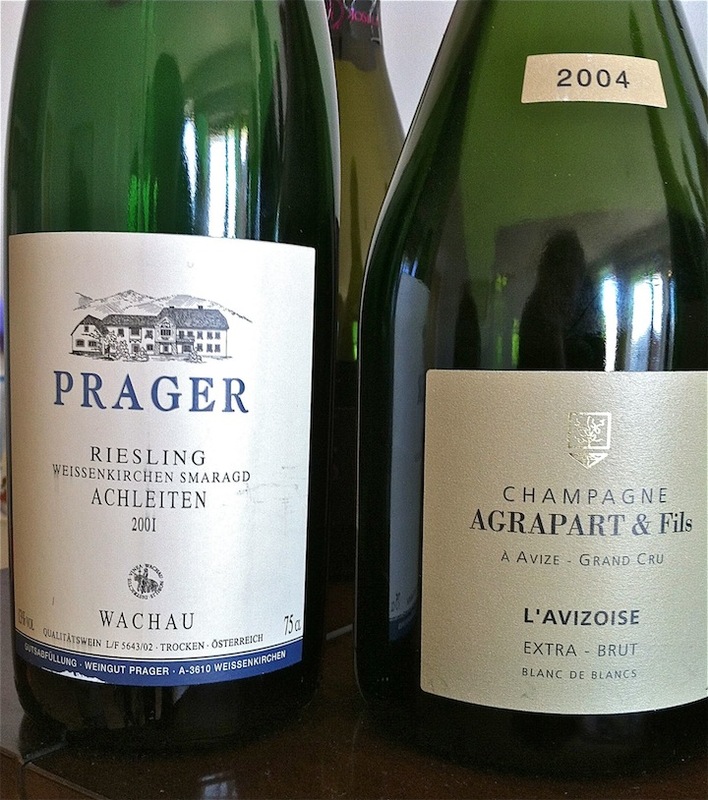 Anyway...everyone else thought it was Austrian, and the questions were about Gruner versus Riesling (consensus was Riesling), region (no clear consensus, but leaning towards the Wachau), and the age of the wine (consensus was mid-2000's). And as I continued to smell and taste the wine, I knew it was true - it was an Austrian wine, not Chablis. Would I have come to that conclusion on my own, had others not been suggesting this? I really cannot say. But it was crystal clear to me, once the others said so. Everyone agreed that it was lovely wine, the 2001 Prager Riesling Achleiten. This is a wine that I would love to drink again, and Prager is a producer who I haven't spent enough time with - the few wines I've had have all been excellent. My friend who brought the wine said that he finds that Austrian Riesling can show like Chardonnay when served in big bowl glasses. Maybe this is true, but I think he was trying to make me not feel like such a dope. But I really didn't feel like a dope. In blind dinners like this, I will get it wrong 8 or 9 times out of 10, and I'm fine with that. It was funny in the end, and the collective appreciation of my mistake reminded me of exactly how it is that I want to drink great wine - with good people. The Champagne was fascinating too. I felt at first that it might not be Champagne, it had an herbal scent and I just didn't recognize the profile. 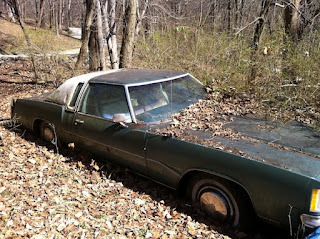 It was heavily reduced upon opening, though, and it took a while to compose itself and be presentable. Even when it did, I wasn't sure. It felt like white grapes to me. 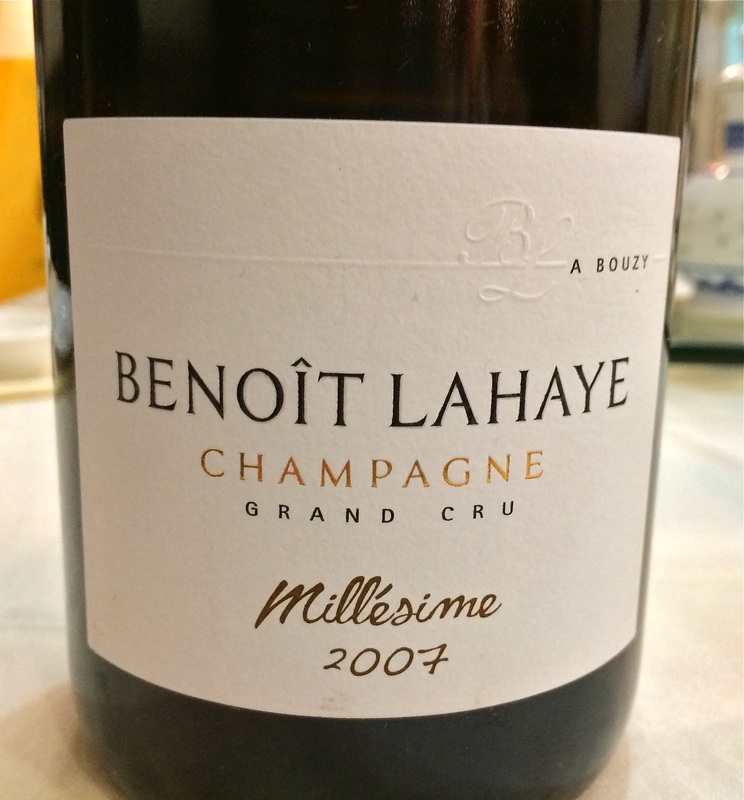 If it were Champagne, then maybe something with the oddball grapes like Arbanne or Petit Meslier? But the wine had this mineral tang on the finish that reminded me of Huet, and I thought it was bottled at low pressure (I was wrong). 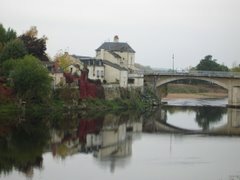 Could we be drinking Huet Pétillant here? Other tasters thought there might be red grapes, some thought it was Champagne, others weren't sure. First, we tried to resolve the main question - was it Champagne? Peter Liem thought it was and said something like "If this isn't Champagne, then it's really, really good." The texture was getting silkier by the minute, and the finish more and more saline. When the wine was revealed as the 2004 Agrapart L'Avizoise Extra Brut Blanc de Blancs, most of us were still a bit mystified. 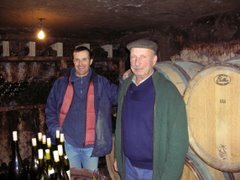 Peter cleared this up (he did not bring this wine), explaining that the wine is a Blanc de Blancs that is meant to showcase the clay soils of Avize (a village famous for Chardonnay grown on chalky soils), and this is what gives the wine its unusual character. By the way, the wine was compelling and delicious. Listening to these experienced wine people, all of them professionals, some of whom I've seen perform amazing feats of blind tasting, hearing them discuss this wine...realizing that Peter Liem, one of the world's leading and most important Champagne experts, was not certain about this wine...It reminded me that if we are open minded and humble, we will never stop learning. I hope I will be so lucky. 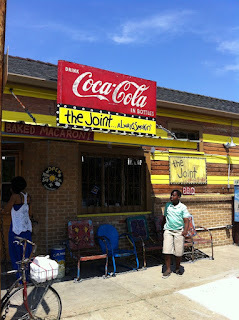 BBQ at The Joint, in the Bywater neighborhood of New Orleans. Whoa! 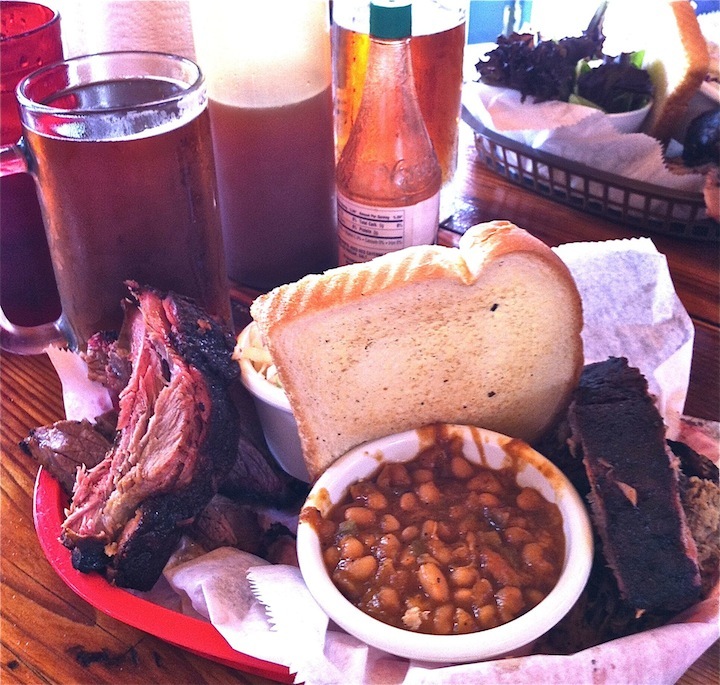 That's some BBQ. The meat is unadorned - no rub, no sauce - you have to put that stuff on yourself, if you feel like you want it. The ribs are truly ridiculous, so is the pulled pork. Brisket is excellent too. Sides taste fresh and delicious - those beans are home-made. And there is Abita Amber on draft and great music on the radio. Hard to argue with that, my friends. The other night, at the end of a lovely blind wine dinner (more on that another time) I decided to open one last bottle for my guests, a bottle of Valdespino Inocente. I grabbed a bottle from my wine fridge, and as soon as I began pouring the wine I noticed that it was unusual for Inocente. A little cloudy, almost. Well not exactly cloudy, but different in appearance from all of the other Inocente that I've had. Inocente is a wonderful wine, one of my absolute favorite Fino Sherries. But this was a particularly wonderful bottle, showing such finesse, such a mellow harmony, such lovely articulation. Was something special about this bottle? Yes, as it turns out. My friend Peter stores a few bottles of wine in my fridge, and this was his bottle of Inocente - I grabbed the wrong bottle. And Peter's wine was special in that it was bottled in December of 2008 - it has aged for over three years in bottle. The back of a bottle of Inocente has a code that reveals the bottling date. "L083532" means that the wine was bottled in 2008 on the 353rd day of that year - December 18th (it was a leap year), from bottling line number 2. Had I known how to read this code, I might not have opened my friend's carefully aged bottle of Inocente. This is, after all, something that I would guess almost no one else has - aged Inocente is a rare thing. 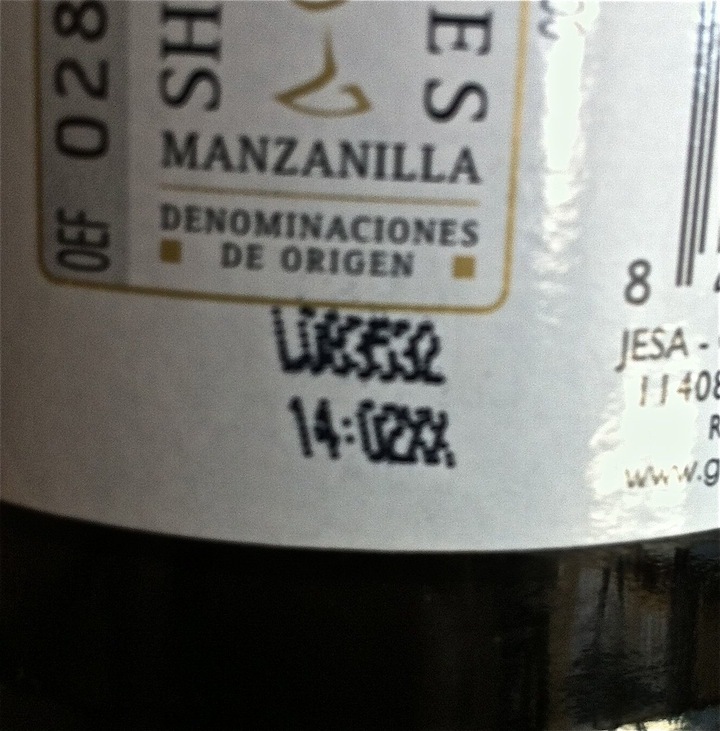 Many people think that biologically aged Sherries, Finos and Manzanillas, for example, should not be aged in bottle. This idea probably arose because in this country the Fino style wines that have been most readily available in fact do not stay fresh for very long. 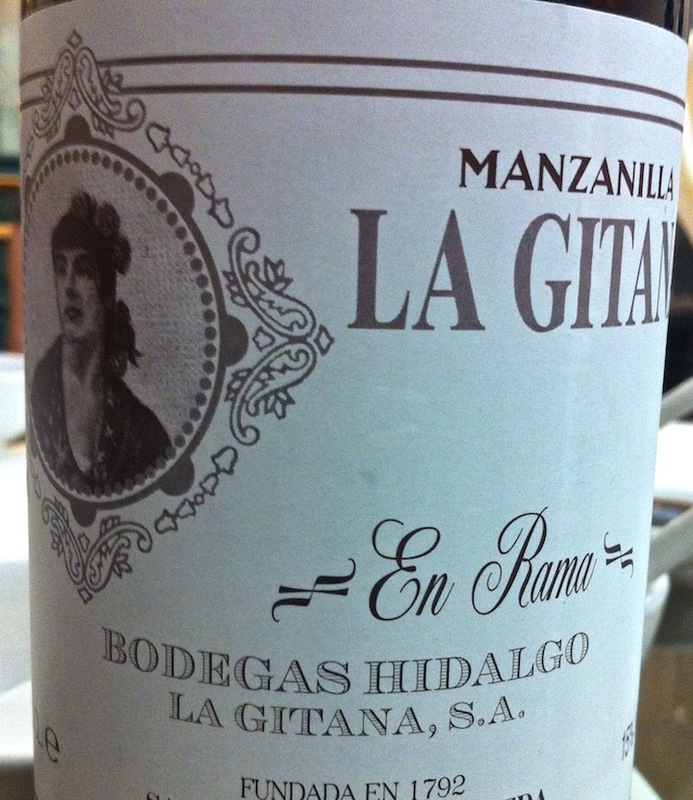 But there is a renewed interest in Sherry, and there are more wines available now. 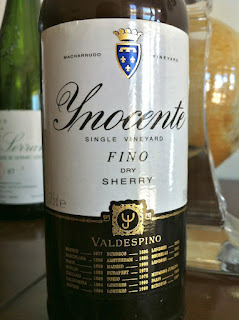 Some of them are wines that improve with bottle age, and Valdespino Inocente is one such wine. It's funny to think of a Sherry like Inocente as a candidate for the cellar. Unlike most white wines that are bottled within a year or two of vinification, Inocente is already aged when we buy it - it's a wine that ages for 8 or so years in the solera before bottling. But like many fine wines, Inocente mellows with bottle age, achieves a greater harmony and depth of aroma and flavor, expresses itself in a more profound way. I knew about this idea, and I know also that Jesus Barquin and Eduardo Ojeda of Equipo Navazos say that their biologically aged Sherries should be cellared for at least a year or two before drinking. I've tried this with some La Bota bottles, with good results. But until this night when I opened the wrong bottle of Inocente, Peter's aged bottle, I had never had Inocente with any bottle age. It turns out that with good storage, the results are well worth the effort and I will definitely try to recreate this experience by socking away a few bottles of my own. I admit it, I was not looking forward to Taconic on Bedford. I mean really, in our precious world of hipster Brooklyn dining, this place is the very hippest, the most precious of all. 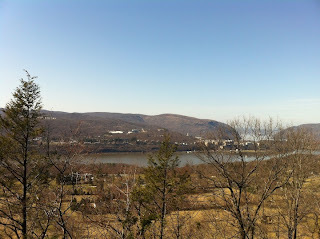 But you know what - Taconic on Bedford pulls it off, and I highly recommend that you try it. 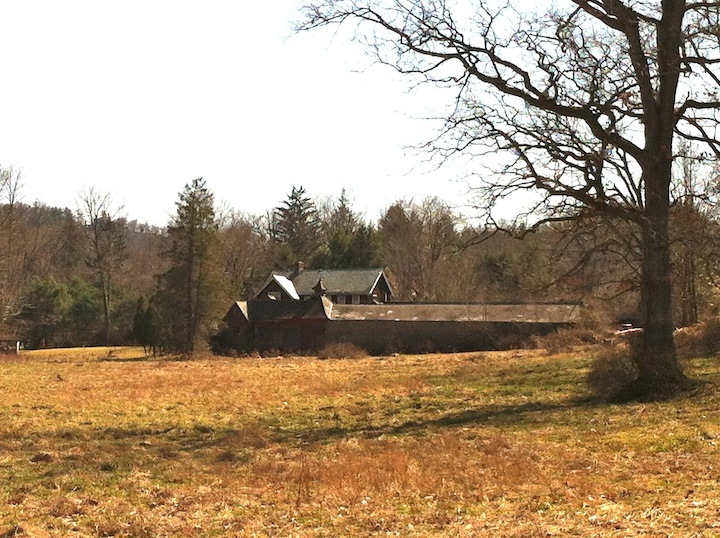 Taconic, as the locals call it, is named after New York State Route 987G, the Taconic State Parkway. 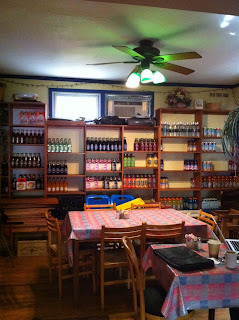 Owners Abraham and Fenton Percival moved from 1870's Wyoming to Williamsburg in early 2010. Fenton worked for a while as Bee-Keeper at Egg Restaurant, and Abraham was Director of Body Art at Cafe Grumpy. One spring weekend in 2011, the brothers attended the chemical-free soap and candle making conference and expo in the town of Ghent, NY. 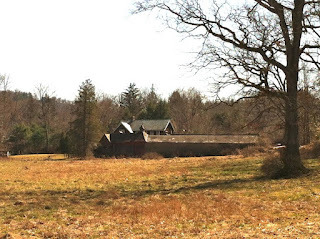 They fell in love with the Hudson Valley and decided to bring the rustic vibe and food back to Williamsburg. And so, we have Taconic on Bedford. The Percivals found a wonderful spot for their restaurant. 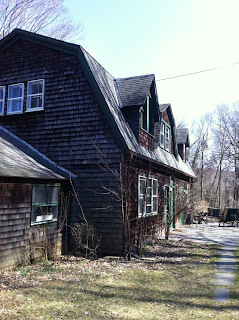 Set just off the street on a lovely corner of Bedford Avenue, the place feels like it is of the woods. And the view from the main dining room is utterly gorgeous, emphasizing the bucolic beauty that can still be found in the part of Williamsburg near Newtown Creek. There are a few problems with Taconic on Bedford, and I'm going to get those out of the way first. Taconic does not take reservations. If you or someone in your party can present a valid hunting or fishing license you will get priority for a table. Otherwise, go for a stroll in Williamsburg and Fenton will send a telegram when your table is ready. Secondly, it can take a long time to be noticed by the staff at Taconic, even after being seated. I felt so grateful to be there, though, that I didn't mind the fact that 45 minutes went by before someone came to take a drink order. That said, the servers, most of whom are former rodeo clowns, are not entirely adverse to being interrupted as they socialize, and will take your order if you are a little pushy about it. 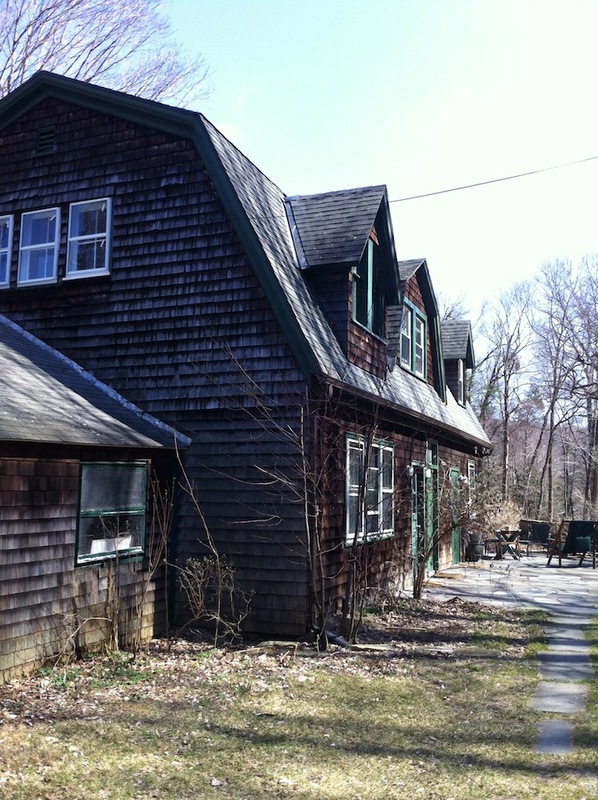 These are minor problems, though, and there is a lot to love at Taconic on Bedford. All of the wood that went into building Taconic was reclaimed from Home Depot, and the place looks great. Taconic offers a convenient and enviro-friendly valet service, and your car will be parked in a bed of local dried leaves while you dine. And the wait for food is made more palatable as you sip mixologist Lleyton Pembrickson III 's signature hand-made cocktails. Lleyton came to Taconic from Dow Chemicals and she has since created many delicious libations for the Taconic crowd. My current favorite is the Irish Spring, a captivating blend of Tullamore Dew, rendered duck fat, house-made quinoa syrup, and hand-shaved green soap. Wine is served in deerskin pouches, and there is an innovative hydration program, offering diners a variety of hand-poured waters. 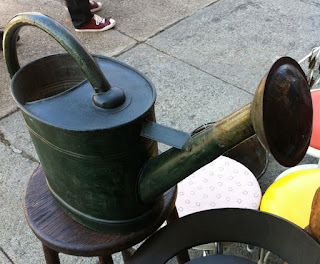 I usually go with the over-sized watering can, and the water is fresh and cold, very impressive indeed. 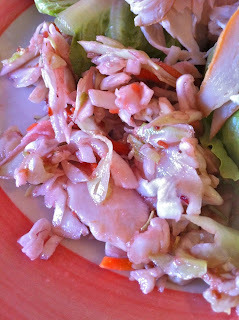 You can enjoy it plain or with house-pickled ice cubes - I find both to be very satisfying. And how about the food at Taconic? 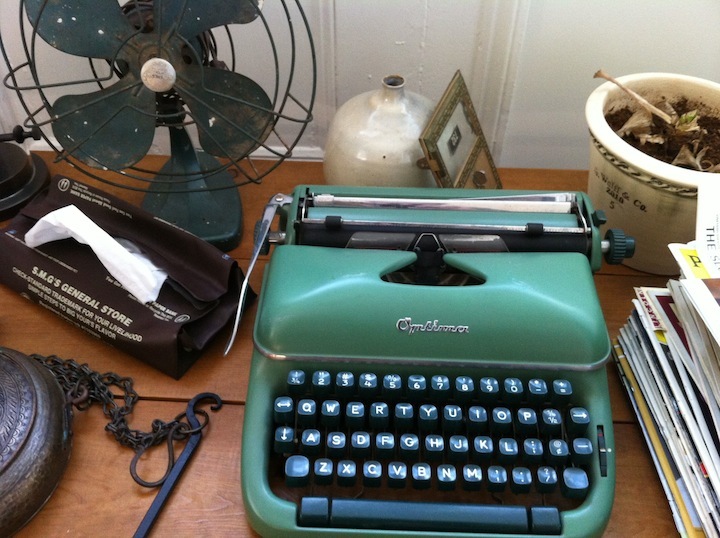 I cannot profess to have tried everything, but what I've had is excellent. 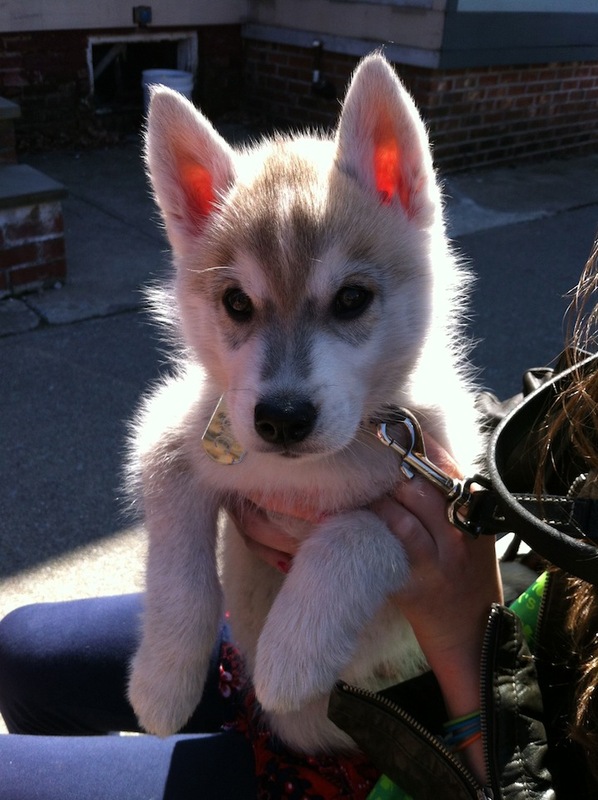 Most of the vegetables and grains served at Taconic are locally foraged, and in a truly innovative touch, foraging is outsourced to a small team of Siberian Husky pups. The above photo shows Amaranth, the current leader of the pack. 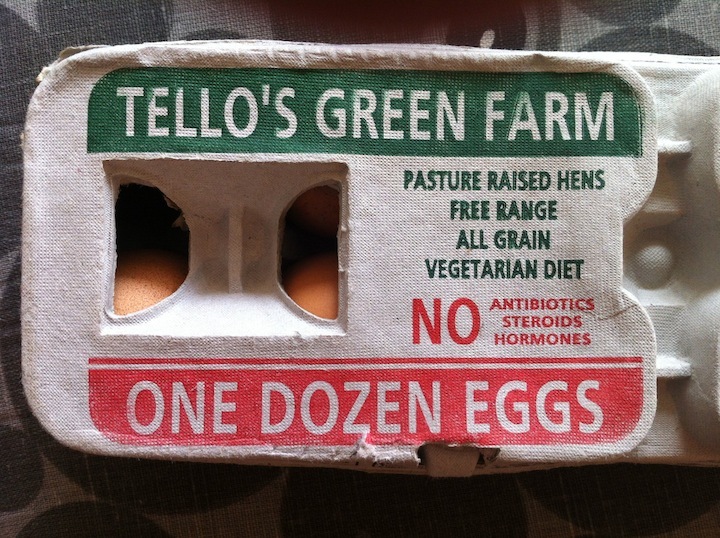 Taconic adheres to strict nose-to-tail vegetable practices, and every part of the plant is used. Pictured above is the Cabbage, Celery, and Carrot ($17), a delicious melange of the whole vegetables, sliced and served with a light and tangy "mayo-vinegar jus." 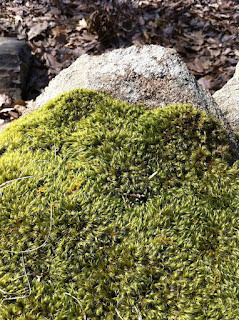 Moss salad ($23) is served on the rock it grew on, and is woodsy and redolent of chlorophyll. It is pleasantly textured, but I felt that a dressing of some sort might have improved the dish. There are a variety of meat dishes made from locally sourced animals, but if you order these dishes you must be willing to actually butcher the meat before the kitchen staff will prepare it. I was initially put off by this, as I don't know how to butcher, but in the end its a nice opportunity to learn. The butchering station is next to the bar and the first-aid area so diners can watch and learn from each others' mistakes. After one lunchtime visit Abraham Percival took me into his office so we could chat. He is a lovely guy, his brother too. I asked about future plans and he said that the Percivals just opened a general store next to Taconic. He gave me a quick tour and so far it seems to hold a wide array of soda. Abraham said that there will soon be a variety of very expensive pickles and candles, and also Hellman's mayonnaise.